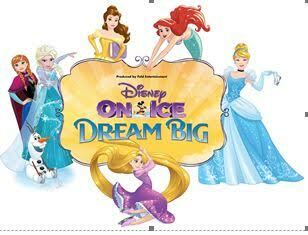 Don't Forget to get your tickets for Disney On Ice!! Its next week! I am so excited to attend with my children. It is always a fun night with Mickey, Minnie, and the Disney characters!! Not valid on premium seats. Valid on select seating. Restrictions and fees may apply. No double discounts. Tickets available for purchase online at Ticketmaster.com, charge by phone at 800-745- 3000 or in-person at the venue Box Office. *prices subject to change; additional venue/ticketing fees may apply.